The Pixi Beauty Hello Rose Kit was sent to me about a month ago and I’ve been loving using it for an everyday look for work. I don’t post too many full face/selfie makeup pics. Who knows what the problem is with that, I just am not a fan of having a picture taken. Anyway, I actually did one for this review so below is the picture and the review. The Hello Rose set includes the Glow Booster liquid highlight in Pink Pearl, powder blush and highlight duo in Rose Gold and the LipLift Max which is a lip plumping gloss in Sheer Rose. The Hello Rose kit costs £20.00 and would make the perfect gift for a friend or just a happy Wednesday to yourself! This is a very lightweight liquid highlighter that enhances your natural radiance so you could use it as a primer, mixed with your foundation or on its own to highlight your face. In the picture above I mixed it with the foundation I used that day which was a BB cream from Dr. Jart. I’m trying to use them up as I don’t think they are cruelty-free and I thought they were, which is a shame as they are awesome products. Do you not just hate when that happens? The glow booster does really give you a glowy look so I was pretty impressed. 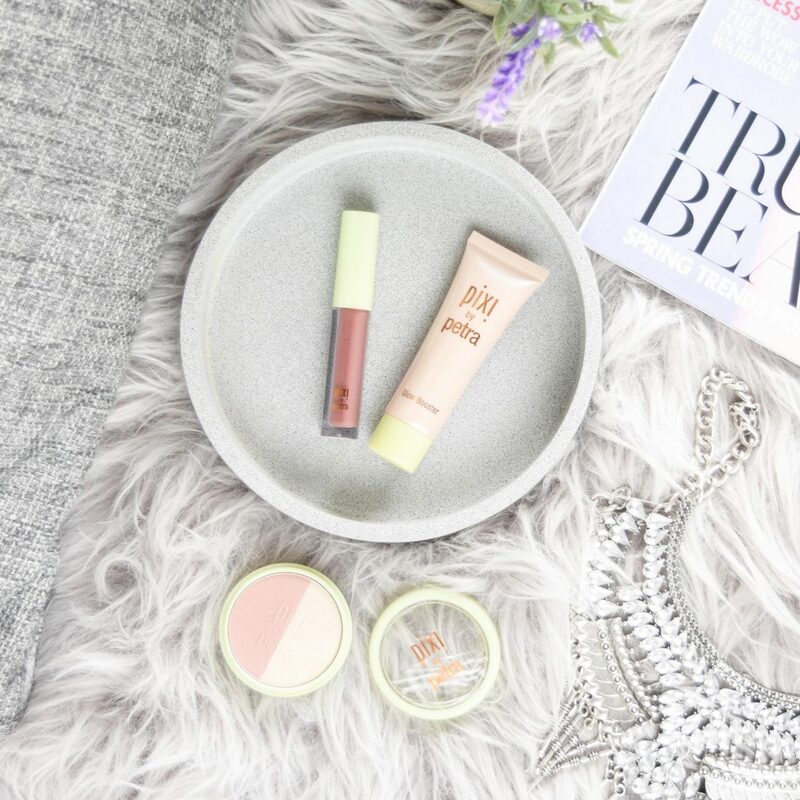 The mineral-based blush duo powders are really soft and natural and just give a hint of colour and radiance. They don’t show up too well on camera. They are very soft and natural and in person they look more like your face has a gentle blush and radiance rather than it being makeup. Infused with light reflecting particles and a soft shimmer, they are very flattering and give a natural glow. 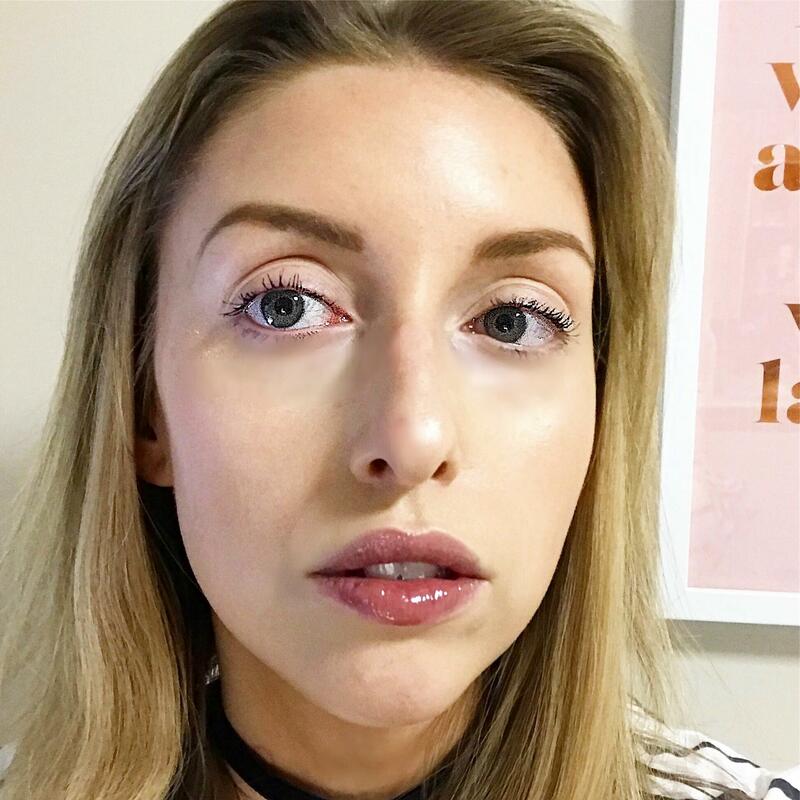 The LipLift Max uses peptides to make lips look fuller. Honestly, I didn’t notice much of a plumping action. But it was a very pretty colour (I’ve already used it up). The jojoba oil it contains does help keep the lips moisturised. I think the set is great and perfect for college/work/everyday simple makeup. It would make a great gift for someone who doesn’t like to wear too much makeup or look caked. Or perhaps someone who only ever wears foundation and mascara. If the lipgloss was bigger I’d prefer it as I loved the colour and used it a lot, and used it up within a few weeks. 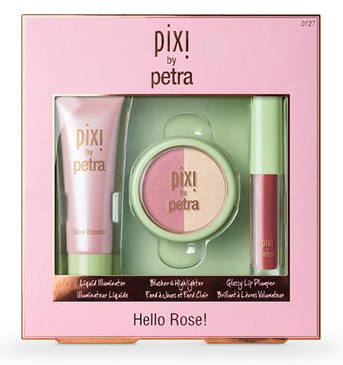 You can buy the Pixi Hello Rose box set here and it costs £20.00. What do you think of Hello Rose?